Ethiopia is home to many of the oldest cultures in Africa along with some of the most fantastic natural landscapes anywhere in the world. With thousands of years of history, it’s no wonder the country has so many UNESCO sites to visit — tied with Morocco for the most on the African continent. The sites range from churches that are over 1,000 years old, to valleys where some of the oldest homo sapien fossils were discovered, to parks with animals that aren’t found anywhere else. Here are all of Ethiopia’s UNESCO World Heritage sites in their full glory, along with reasons you’ll want to visit. 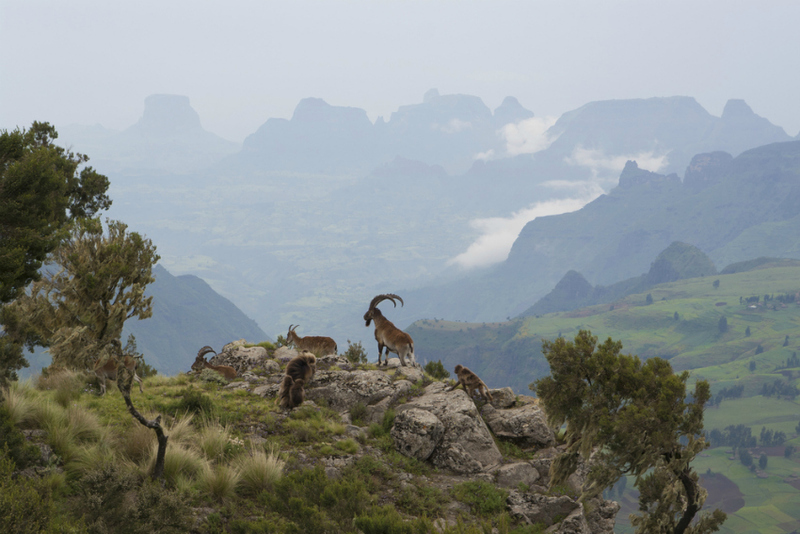 The Simien Mountains cover a large chunk of northern Ethiopia and Simien National Park is its centerpiece. The area is famous for gorgeous hiking areas and is home to several endangered species like the walia ibex and Ethiopian wolf (both endemic to the area). Some of the sharp peaks in the area drop straight down over 4,000 feet, so be sure to watch your step if you go on a hike. The 11 UNESCO cut carved churches in Lalibela were made mostly in the 12th and 13th centuries and are one of the earliest remnants of Christianity in Africa. You are welcome to explore inside and outside of the churches and can get an entrance ticket for five days to explore it. 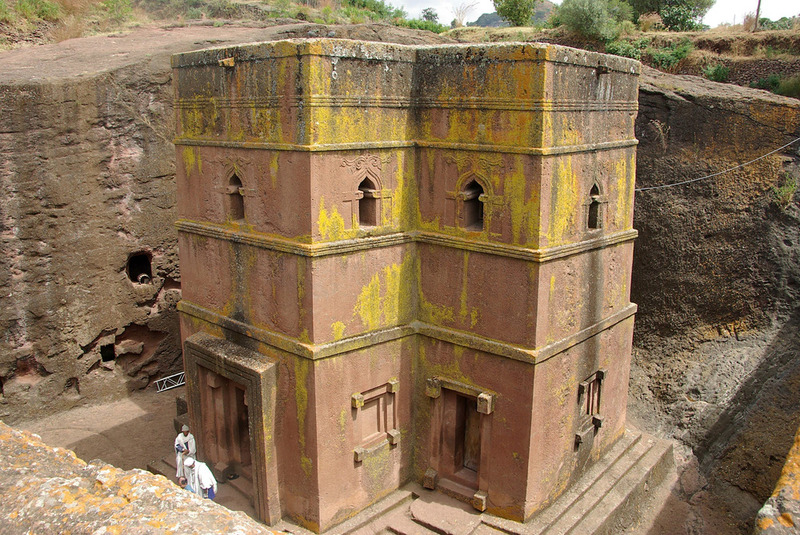 If you can’t make it to Lalibela, Tigray has several rock carved churches of its own. This massive fortress city was ruled for decades by emperor Fasilides along with the people who replaced him. It also served as the seat of Ethiopian government until 1864. UNESCO has restored many of the buildings in the area, which include churches, monasteries and grand palaces. It’s worth going to see just how powerful the country once was. To get a better idea of what the area looks like, see our links at the end of this article. 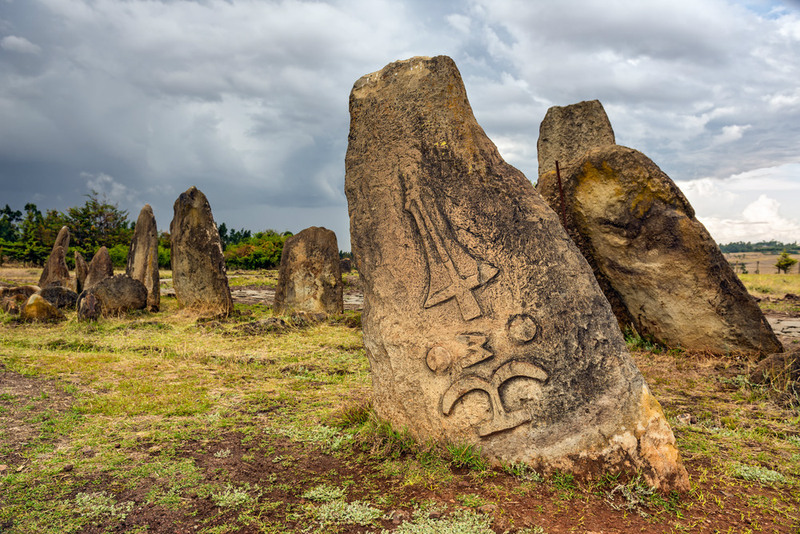 Located in the north of Ethiopia, this ancient region is full of so many obelisks and ruins you might think you are in Egypt — so any history buff should see this once in their lifetime. There are tombs on the outside of the city where former kings are buried, along with many sites that are up to 2,000 years old. The country’s most famous religious site is also found within the city, St. Mary of Zion Church, which was built in 1665 to replace another church built in the 4th century. 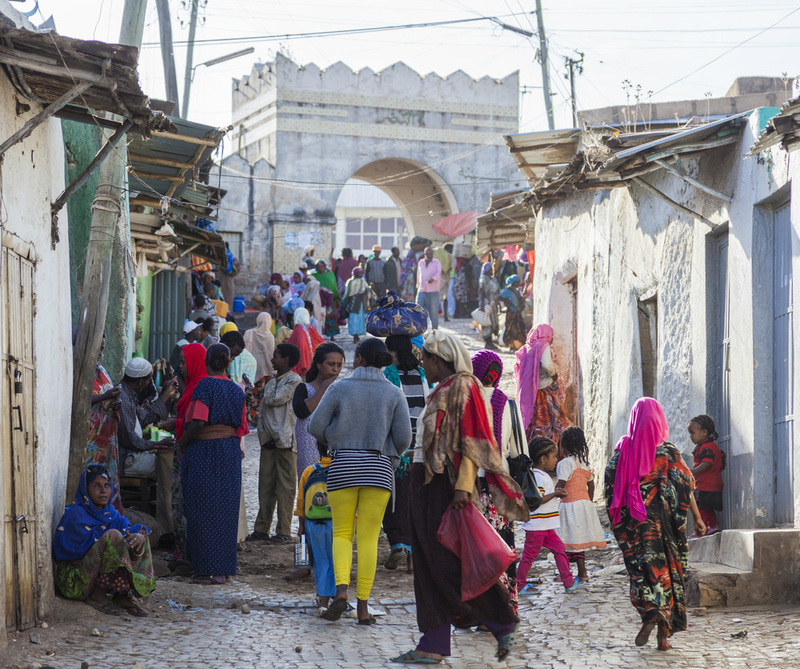 You might know of Mecca, Medina and Jerusalem, but have you heard of Harar Jugol? The city is considered the fourth holiest city of Islam and contains over 80 mosques and 102 shrines, several of which date back to the 10th century. You should go to explore the narrow winding streets and imagine what life was like hundreds of years ago. 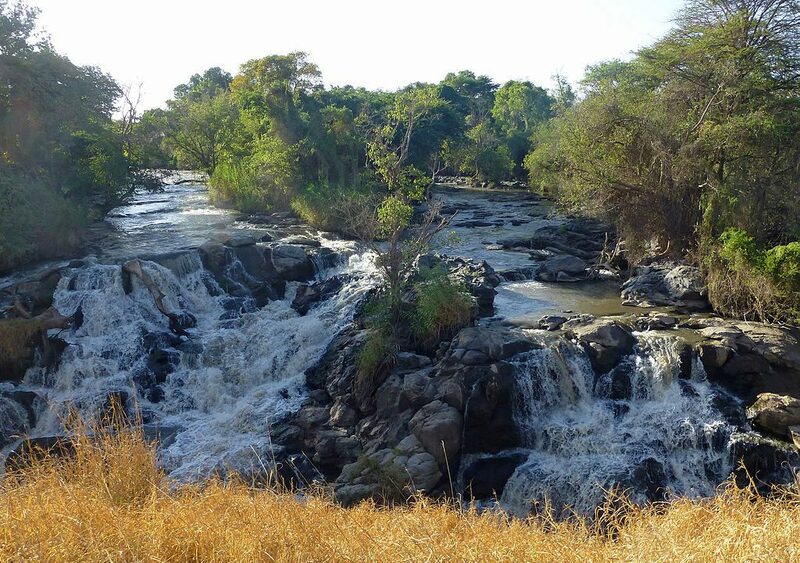 Travelers heading to Ethiopia’s Soddo region south of Addis Ababa will want to make a stop in Tiya. There are over 36 ancient monuments in the area, some with symbols that still haven’t been deciphered. It’s also still unknown how long ago the ancient Ethiopian culture that used to live here flourished. If you want to walk where some of the first homo sapiens in Africa were found, this is the place to go. 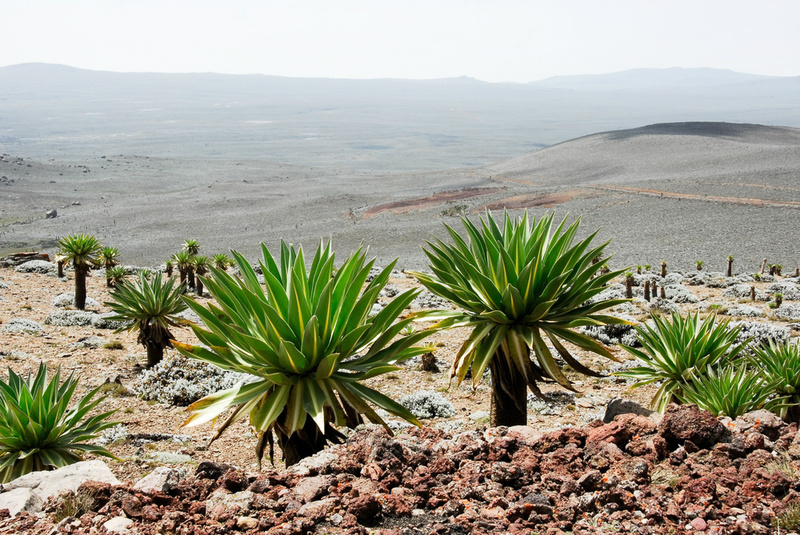 This valley in south-western Ethiopia encompasses an area of over 150 square kilometers and there are many tours that you can do in the region. 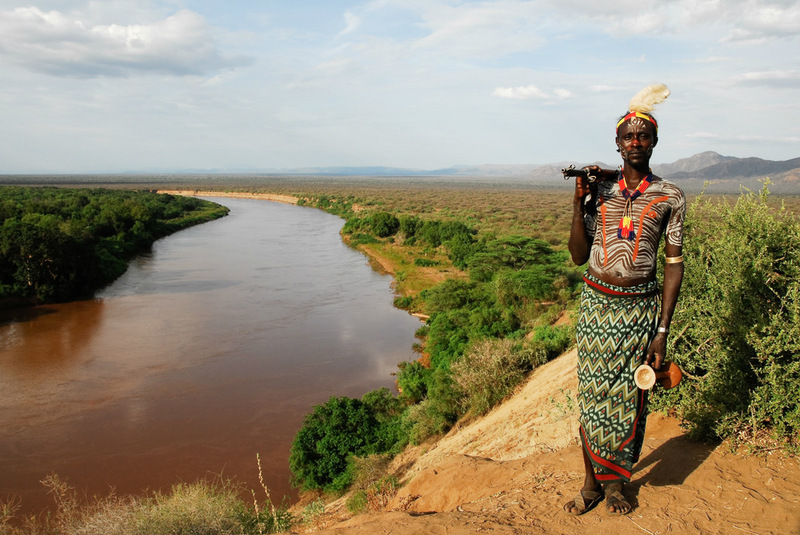 You’ll also find several villages to stop at, which are home to the famous Mursi tribe. 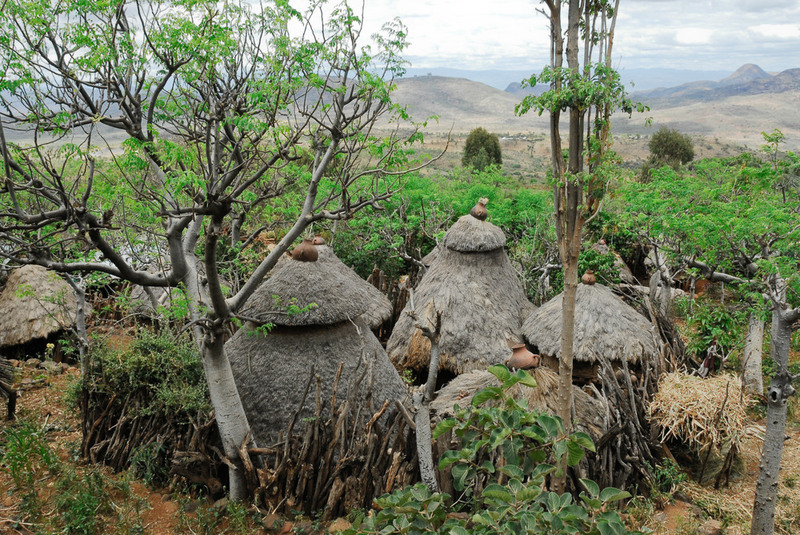 Located in the Konso highlands, this dry area has nurtured a culture that goes back over 20 generations and 400 years. The people who live in the area use extreme terracing and walled towns to get the most out of the environment. Any architecture or history buff will thoroughly enjoy visiting the area. If you remember studying about Lucy in school (one of the most famous skeletons to ever be discovered), you’ll want to visit the Lower Valley of the Awash. Not only have humans been evolving in the area for four million years, the area is also full of scenic beauty that shouldn’t be missed. While these aren’t UNESCO World Heritage Sites yet, they could be one day and are worth visiting. The following sites have all been submitted to UNESCO and are awaiting approval. This article was originally published on January 11, 2016.